I have a natural love & aptitude for teaching. With broad & varied interests in the life sciences, (anthropology, psychology, philosophy) movement and music; I bring curiosity, heart and experience to my yoga teaching. I like to assist the retreat & Immersion process, as we work in the present, (the moment – day, week, session or season we share together) there is a stepping in/up, which brings clarity to how things are NOW. The curated environment allows us to walk into a place and time where reality is both confronted and suspended; there is an opportunity to reshape and realign (both physically & mentally) in preparation to take on with resilience and humour the next challenge and life chapter, until we convene again. Yoga Bio:I have been teaching yoga and offering retreats for over 10 years. 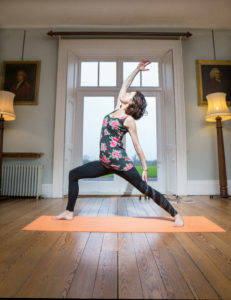 I lead weekly classes in Dublin and also offer one to one sessions, combining the principles of yoga and coaching. 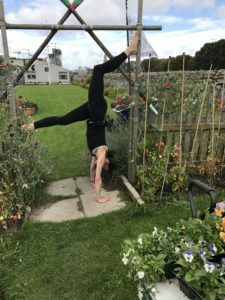 My teaching is a blend of classical Hatha, Iyengar and Vinyasa, and other mindful movement forms influenced by Ayurvedic principles, (the elements) martial arts, dance and low impact high intensity cross training. Classes are sequenced to engage students fully, in a challenging, compassionate, fun and mindful way. Influencers: Jean Hall, Tara Judell, Anna Ashby, Dolores Whelan, Deepak Chopra, Gillian Evans, Bill Mahony, Michael Stone, Martin Seligman & Thich Nhat Hanh. Qualifications: 200hr, EYT 500hr, (Yoga Room Dublin) Yoga Therapy Diploma & Certificate in Yoga for Sport (YTI). Completed a two year advanced Teacher Training in Triyoga UK in December 2018. 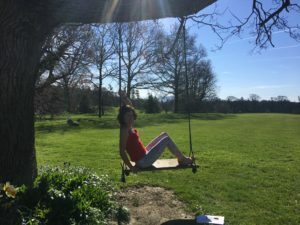 I am currently studying with the IMI on their Coaching course and have embarked on Pilates training to further enhance of skills as a retreat facilitator .